It is important to note that around 75 percent of oral cancers are linked with modifiable behaviors such as smoking, tobacco use and excessive alcohol consumption. When oral cancer is diagnosed in its earliest stages, treatment is generally very effective. Any noticeable abnormalities in the tongue, gums, mouth or surrounding area should be evaluated by a health professional as quickly as possible. During the oral cancer exam, the dentist and dental hygienist will be scrutinizing the maxillofacial and oral regions carefully for signs of pathologic changes. Root canal treatment is highly successful and usually lasts a lifetime, although on occasion, a tooth will have to be retreated or removed due to new infections. 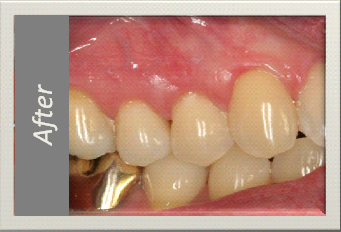 Scaling and root planing treatments are only performed after a thorough examination of the mouth. We will take X-rays, conduct periodontal examination and make a diagnosis before recommending or beginning these procedures. Depending on the current condition of the gums, the amount of calculus (tartar) present, the depth of the pockets and the progression of the periodontitis, local anesthetic is normally used. During the next appointment, Dr. Dahm or the hygienist will thoroughly examine the gums again to see how well the pockets have healed. 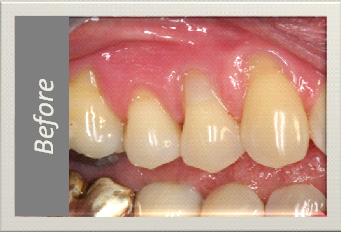 If the gum pockets still measure more than 3mm in depth, additional and more intensive treatments may be recommended. Common signs of obstructive sleep apnea can include severe early morning headaches, sleepiness in the daytime, and insomnia. Fortunately, Dr. Jeff is equipped with the necessary technology and expertise to treat sleep apnea in several different ways. Because sleep apnea causes carbon dioxide levels to skyrocket in the blood and oxygen levels to decrease, the heart has to pump harder and faster to compensate for the lack of oxygen. Sleep apnea patients can technically “die” many times each night. Sleep apnea has been linked to a series of serious heart-related conditions, and should be investigated by a dentist at the earliest opportunity. The Therapeutica pillow provides proper neck support while sleeping on your back, as well as your side. Most snorers find their snoring decreases with side sleeping, and the Therapeutica pillow offers you both back and side sleeping support. Dahm Dental can also fit you with a variety of oral appliances for the management of sleep apnea. These appliances are like bite guards, which fit both your upper and lower teeth, and can be adjusted to position the jaw to open your airway and help prevent or decrease your sleep apnea. These can also be used with CPAP (forced breathing machines) appliances. There are surgical procedures that can be helpful but they cause permanent changes to the airway. Many surgeries have proven to be effective for approximately 12 months with progressive relapse following 12 months. Your sleep physician can help in determining if a surgical procedure will be effective for your sleep apnea. If you feel you may benefit from sleep apnea treatment, contact Dahm Dental today. Temporomandibular Dysfunction Syndrome (TMD) is a common condition affecting a wide variety of people. TMD is characterized by severe headaches, jaw pain of varying degrees, grinding teeth, and an intermittent ringing in the ears. The vast majority of TMD sufferers are unaware that the root cause of these problems is something that a dentist can effectively treat. The symptoms of TMD are debilitating and can greatly interfere with every day life. The comfort and general well being of the patient is at the heart of the dental practice, so pain relief is the first consideration of the dentist. Dahm Dental is able to test, diagnose, and devise an immediate plan to treat the underlying causes of the TMD disorder. Dr. Jeff has treated over 350 TMD patients since 1992 and has studied extensively in the field of temporomandibular dysfunction. Our treatment methods achieve acceptable comfort and function in most of our patients. One common cause of TMD is the misalignment of the teeth, often called “bad bite.” It is possible for Dr. Jeff to realign or adjust the teeth without the need for painful or expensive surgeries. The realignment/adjustment may stop the pounding headaches, the jaw pain, and the dizziness.